New highest point for us! Good challenging climb with steep sections. We parked at Nine Stones and walked up the access road. 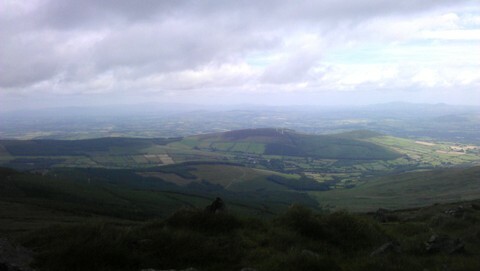 Great views from the top, although the area around the cairn and trig point was roped off and very wet undefoot. A bit busy for our liking today with some noisy walkers disturbing the peace!